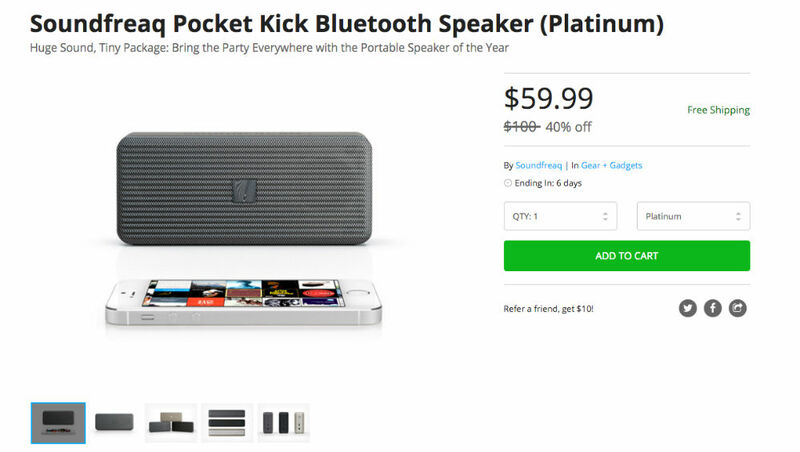 Currently available on the DL Deals Store, you can grab a Soundfreaq Pocket Kick Bluetooth Speaker for just $60, down from its usual price of $100. This speaker allows you to amp up your jams anywhere thanks to 10+ hour battery life, as well as “top-notch” sound engineered sound quality. The speaker features touch buttons for music playback controls, as well as open air grills to optimize airflow and project full-frequency sound. It also features a pair of custom-engineered drivers and a passive radiator. The speaker is capable of taking calls wirelessing, thanks to a built-in microphone. If a portable Bluetooth speaker is on your shopping list, check it out by following the link below.